22' tall dinosaur. This inflatable beast will be sure to draw attention to your store or event. 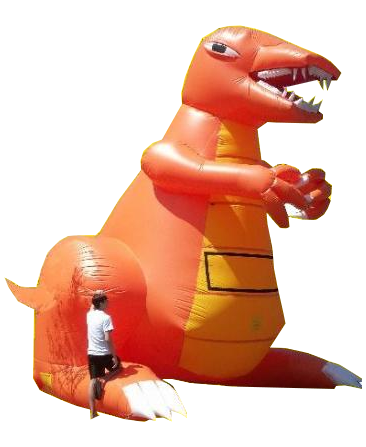 Don't pay high rental rates, own this inflatable dinosaur and use him anytime you need to increase traffic to your store.